AD – GIFTED. 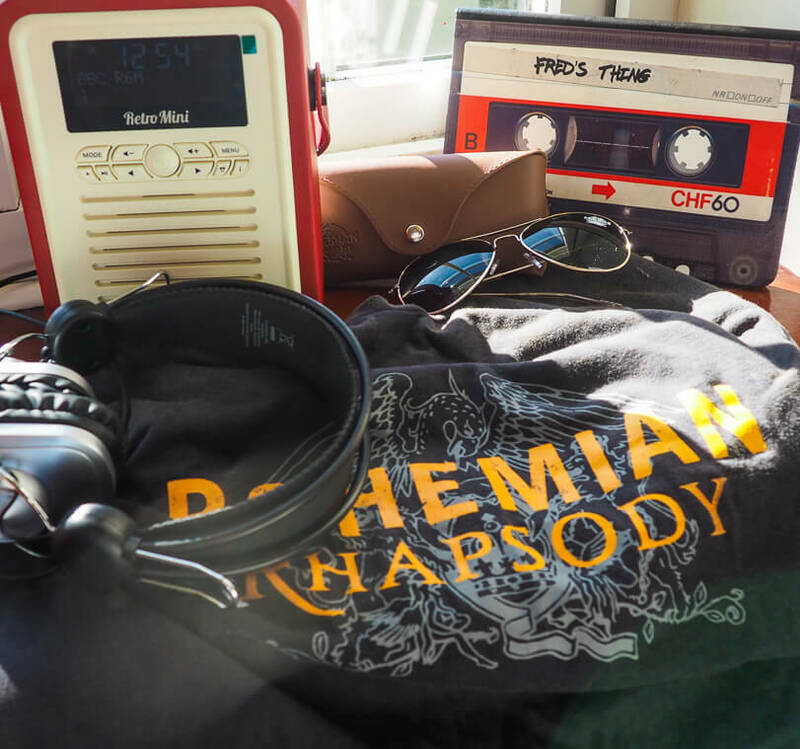 This is a collaborative post with VQ Radios and Bohemian Rhapsody the Movie. 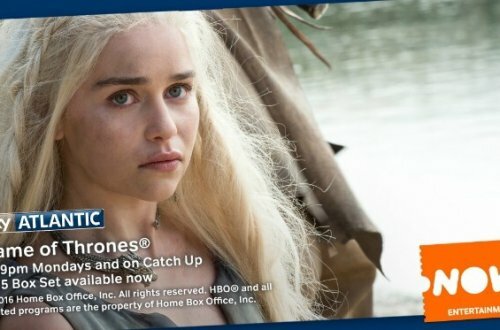 Back during my teen angst years, I thought that nobody (and I mean NOBODY) could possibly understand just how awful it was to be a teenager living in a teeny village in North Norfolk. In fact, I genuinely believed that nobody could possibly understand how awful it was to be a teenager. Full stop. I was that cliche obnoxious teenager. And back then, living in Nowheresville, Norfolk, my only form of escapism was through music. Every Wednesday afternoon I raced home after school to read that week’s copies of NME and Melody Maker (hell yes, I am that old that I remember Melody Maker). This was a time when Kurt Cobain was alive and Nirvana was the biggest act in the world, where Manic Street Preachers had just released their first album, where the Madchester scene was coming to an end and the Britpop one was just emerging. It was also the time where I started to really appreciate the likes of David Bowie, Iggy Pop, Talking Heads, Patti Smith, the Velvet Underground and of course, Queen. I could see how they all influenced the new bands I loved so much, and I would borrow albums from the library to listen to the back catalogues of these musical giants. Music back then was life and I loved it all. I would record tracks from the Radio 1 Evening Session on a battered old C90 tape each evening, and listen back on my walkman (Cassette walkman FTW) on the way to school the next day. And more than 25 years later, it still is. But in that time things have changed. NME and Melody Maker are long gone, cassette Walkmans are considered to be museum pieces and we now use our smartphones to listen to music when we are out and about. Now, if I want to listen to the radio I no longer have to extend an aerial and gingerly move a dial to find the correct FM or AM frequency – everything is DAB now. And oh, I love my DAB radios. I have a couple of DAB radios in the house – one in the kitchen that gets switched on first thing in the morning while I pour my daily cup of ambition (thanks Dolly Parton! ), and this glorious new red one from VQ Radios upstairs in the bedroom. 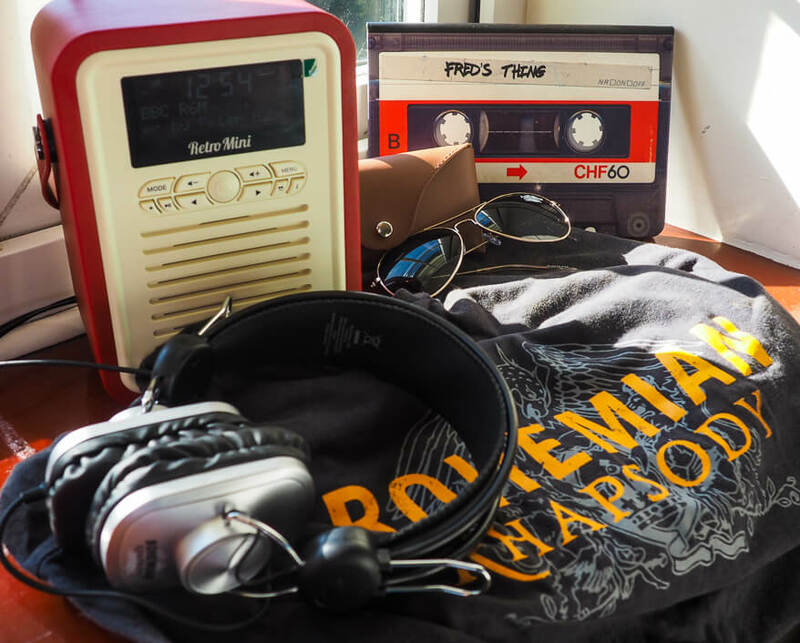 VQ Radios very kindly sent me this radio along with some other musical themed goodies because later this month the new Freddie Mercury and Queen biopic is being released at the cinema. 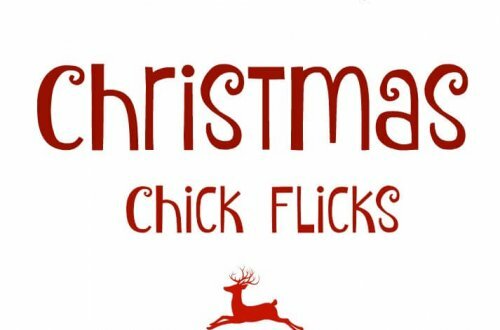 Entries to the draw close on December 28th 2018, and the winner will be drawn in the first week of January 2019. 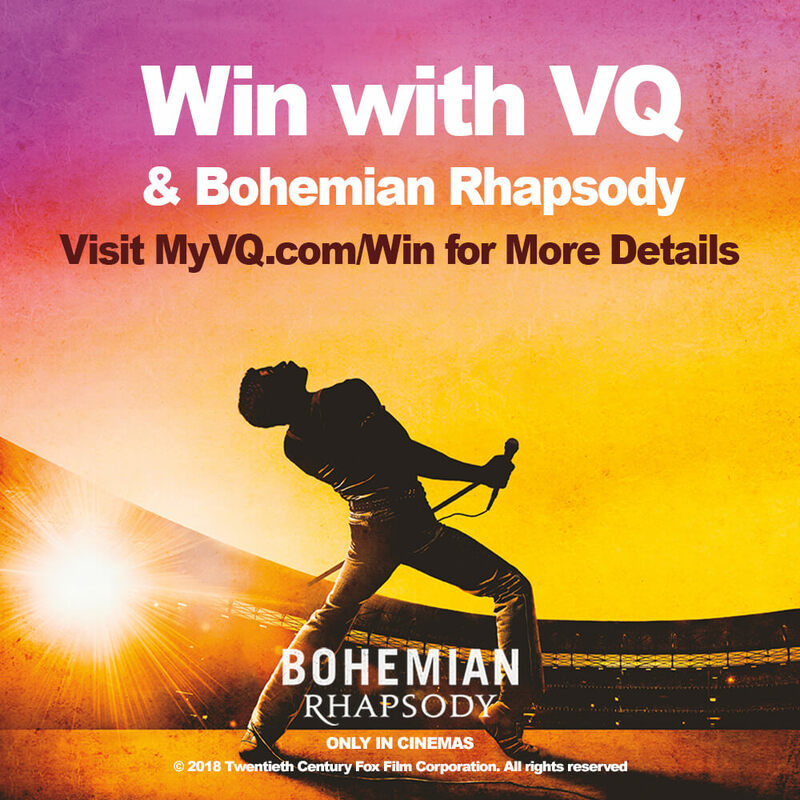 To find out more about the draw, and the T’s & C’s please visit the VQ & Bohemian Rhapsody competition page. Right, all this talk of the film has got me in the mood to listen to some Queen, so I’m going to listen to A Night at the Opera while I do some housework. 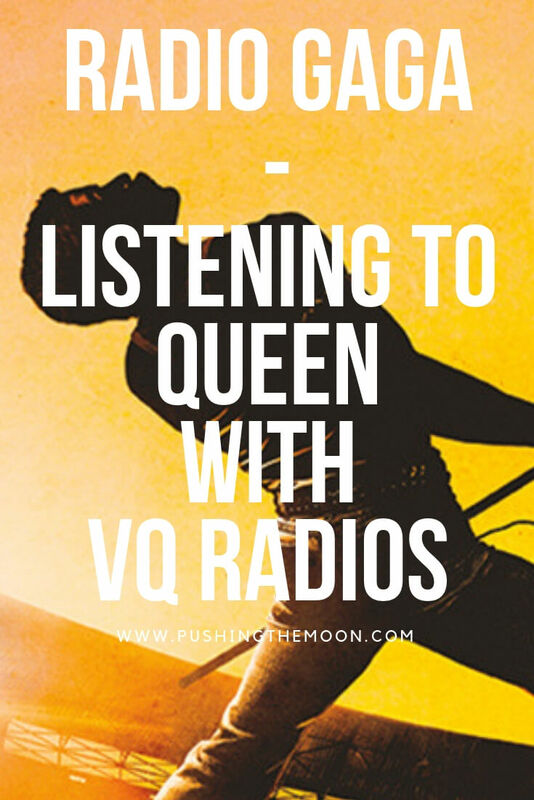 VQ Radios very kindly sent me a DAB radio and Bohemian Rhapsody promotional material for the purpose of this post, however, as always, all words and thoughts are my own.